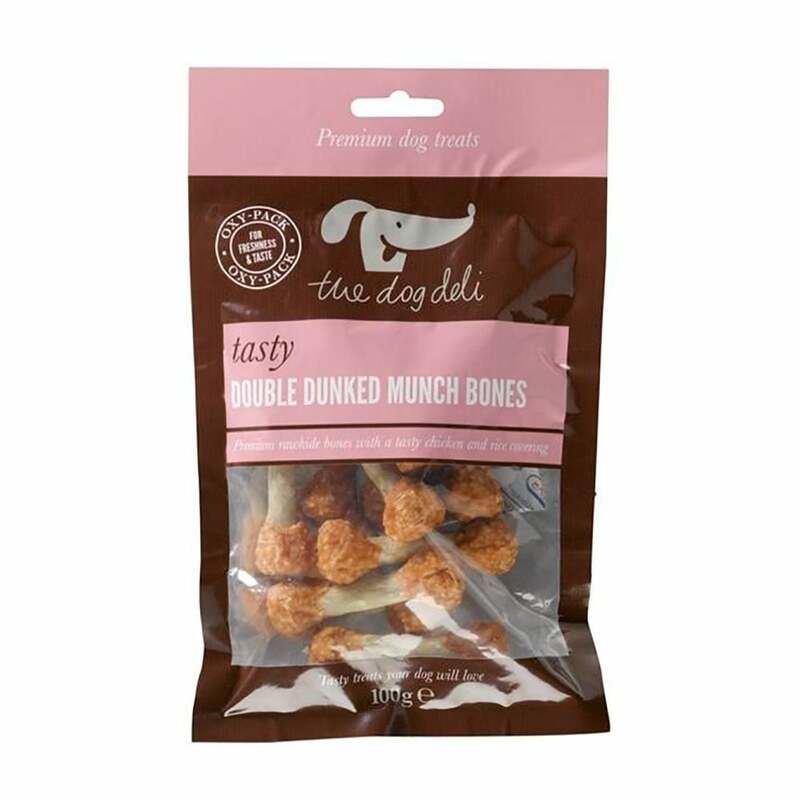 The Dog Deli Double Dunked Munch Bones are delicious treats for your dog. These bones are made from prime chicken, rice and cattlehide that make these treats high in protein. Double dunked munch bones are ideal for rewarding good behaviour or just as a treat and come in an oxygen free pack for freshness. Please note: These treats are not suitable for puppies under four months old.